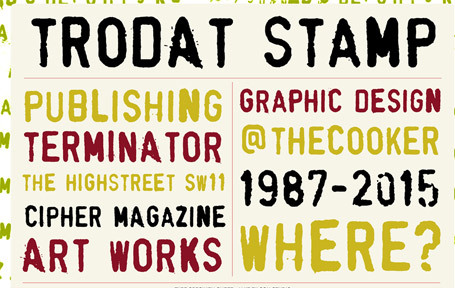 ART / DESIGN / PUBLISHING / FONTS / WHO? 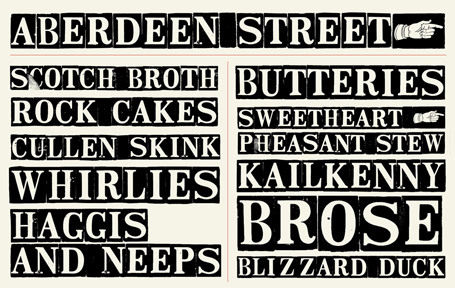 Two of Jake's favourite books as a teenager were Speedball Lettering and Claudia Roden's Middle Eastern Food - obsessions that have shaped his work ever since. Age 14 he hand drew type for use in magazines and commercial graphic jobs. At college in the 1970s and 80s he discovered Letraset and phototypesetting, copy cameras and xerox machines - for use in his magazines, small edition books and artworks. 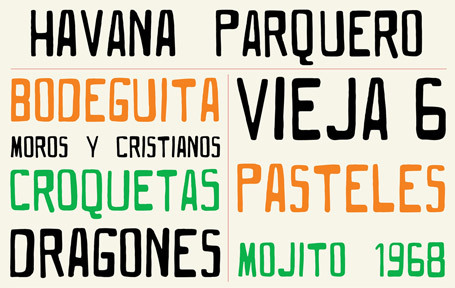 The typefaces here were all designed for specific projects: books, exhibitions, artwork, architecture, websites. Some come from found sources, others might be inspired by eels, fishing trawler lettering or Australian Victorian metalwork. The best bits have been recreated: outside, the theatre's red neon sign has been updated for the 21st century in a new font, christened "Merseyside Neon" by artist/designer Jake Tilson. on street and canal signs in Venice. 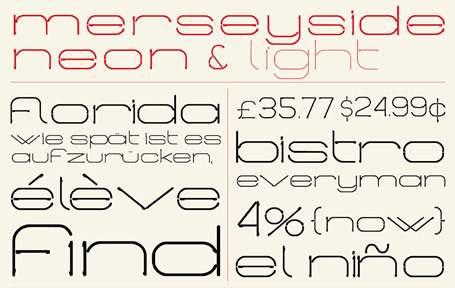 This typeface is based on the stencilled lettering seen on Venetian boats, such as on the commercial mototopo boats. These numerals and characters give the license number and sometimes a business name. 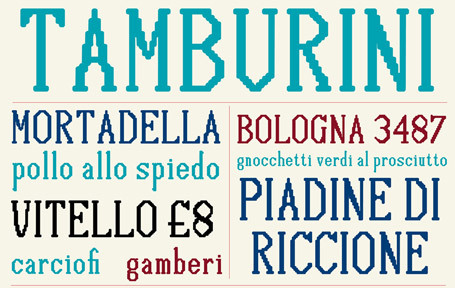 Inspired by thirty-three characters found on a cash register receipt in the shop/bistro Tamburini in Bologna, Italy. 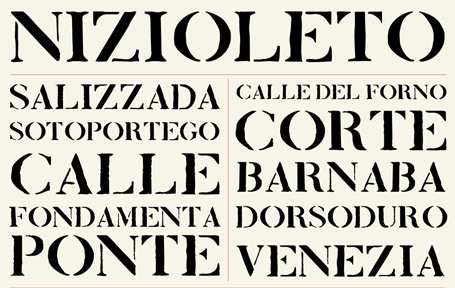 A decorative typeface designed from only six existing characters found on a tin of tomatoes in Cortona, Italy. 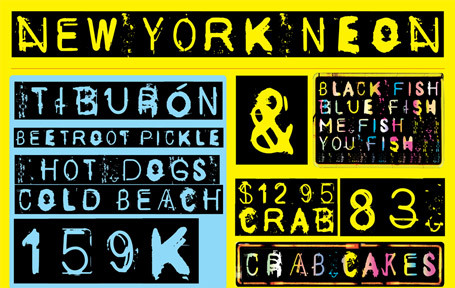 Inspired by the culinary neon signs of New York using photographs taken over several years. 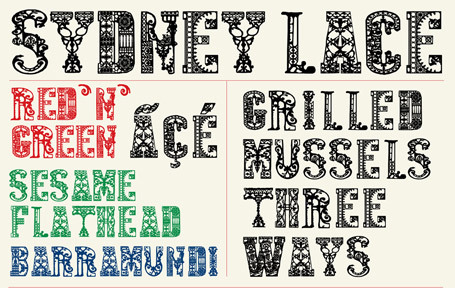 This typeface takes its form from the intricate and beautiful decorative cast ironwork that adorns many Federation era houses in Australia. Jake Tilson was commissioned by the London architects Haworth Tompkins and the Everyman theatre to create a new sign inspired by the old neon sign that has adorned the building for many years. 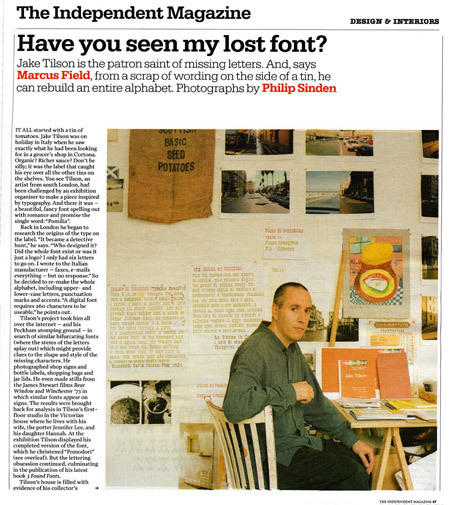 Tilson also created two typefaces for the project. The project won the RIBA Stirling Prize for architecture in 2014. 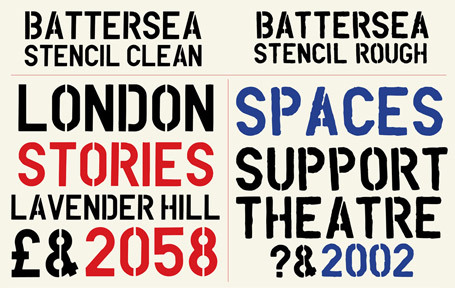 A stencil typeface designed for the Battersea Arts Centre for use on signage, print and website. 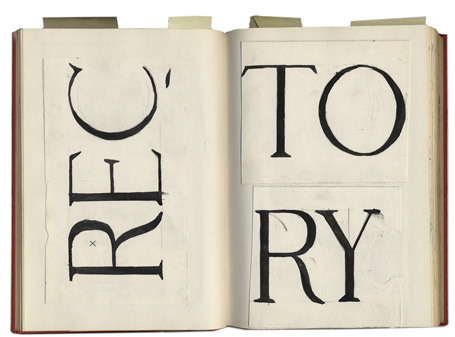 Designed from the smudgy prints made using a Trodat alphabet rubber stamp bought in Barcelona in 1986. Made for use on this website as a webfont. 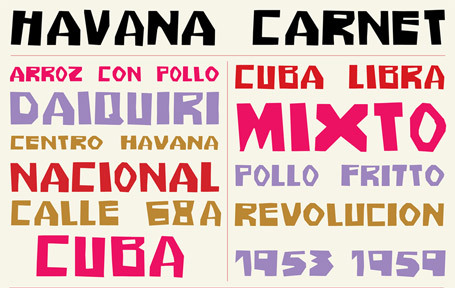 Based on a beautiful 70s cafeteria sign Tilson found in Havana on 23 y 12. To recreate this channel-neon sign Jake made a layered type family; base, edges and neon-tubes. 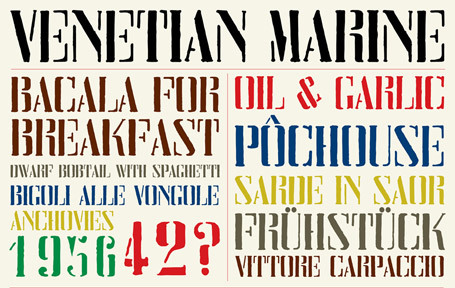 He only had the word "cafeteria" from which to create the typeface. Walking in the backstreets of Vedado in Havana Jake came across a hand painted sign hidden in shrubbery. From this little sign he made a typeface that uses the cut-out look of the sign. The typeface was made with black paper and scissors. apartment block in La Habana Vieja. 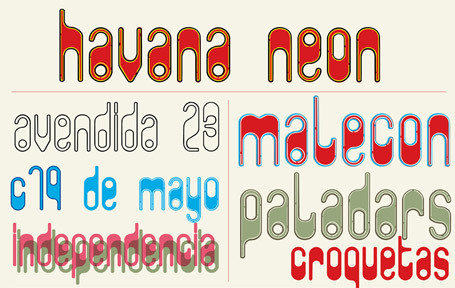 A decorative display typeface inspired by iron eel spears from Europe and North America. Designed originally for use in the project A Net of Eels. 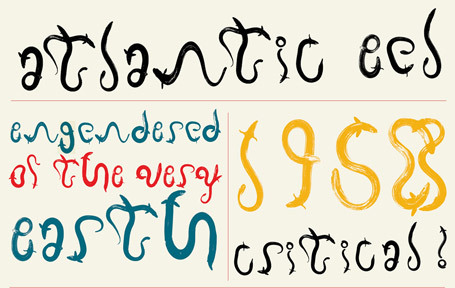 A decorative display typeface inspired by the Atlantic eel – Anguilla anguilla. Designed originally for use in the project A Net of Eels. Inspired by registration numbers hand-painted on Scottish ﬁshing boats. Each boat has a number of 1, 2 or 3 letters preceding a number – such as BF104 for Banff.